Big Red Sports in Norman Can Find Your Used Car For Sale Today! Do you have your eyes locked in on a certain automobile, but you do not know where to buy it in Norman? Then now is a great time to shift the dialogue toward learning a little more about Big Red Sports' extraordinary used car locator program. 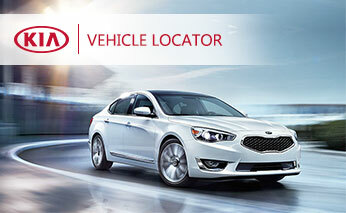 The best part of utilizing Big Red Sports' used vehicle locator program? By leveraging the power of this service, you will not just get the vehicle you desire, but you also escape all of the challenges that come with dealing with other, less reputable, dealers in the Norman area. After devoting a few moments to reflecting on how pressing this endeavor is to ensuring that your normal routine is always a piece of cake, why should you ever opt for anything less than the top tier devotion to exceptional shopper service and support supplied here at Big Red Sports? Now that we have covered all of that, feel free to set aside a little bit of time to connect with the professionals here at Big Red Sports as we break down the particular details that help run this program. From here, you will have all of the resources you must possess to make an informed conclusion as far as your automotive future is concerned. Getting off on the right foot with this dialogue revolves around providing you with a little insight into how we sift through all of the choices available out there and come across the most appropriate used automobile for you. To start, Big Red Sports needs a handful of information from you to discover more about the automobile that suits your preferences. Fortunately, our quick and simple form located down at the bottom of this page is more than capable of delivering this insight right to our pre-owned vehicle specialists. Immediately after you send over this information, we will get to work as soon as possible on working through our dealer network resources to supply you with the specific pre-owned automobile that is right for you. Considering how quick and painless this entire undertaking is, why would you ever want to needlessly throw away your time by looking through your daily paper or fighting with confusing pop-ups and other excessive ads on third-party used automobile sites for even one more second? Going a bit further, the group of experts found here at Big Red Sports have the expertise necessary to go above and beyond for our good friends in Norman. To showcase just how committed we are to this notion, you can rest easy with the realization that the Big Red Sports pre-owned car locator system is always free of charge to you. While other dealerships might intend to charge you an unruly amount for a similar service as part of "helping" you in the quest for the ideal pre-owned automobile, we feel that supporting you on this front at no cost is vital to a truly great car dealership experience. Do a Little Research Ahead of Time – Even though window shopping is definitely a fun aspect of the hunt for your next used vehicle, do everything you can to not be wooed by just the initial response you have to a vehicle that strikes your fancy. A little exploration into the the car's sustainability, interior creature comforts, and other criteria that can impact your routine will ensure that you can figure out if this car is truly capable of meeting your demands. Lean on the Advice of Others By Connecting with Family and Friends – Making use of the counsel of others undoubtedly goes far when purchasing a pre-owned vehicle. By reaching out to reliable people close to you, you can garner a completely new viewpoint on your used vehicle search – and possibly reveal a perspective or way of planning that enhances how you work through this process. Try to Be as Comprehensive as Possible – As you work your way through the following pre-owned vehicle locator application, try to be as expressive as you can. The more information and facts you send out to the Big Red Sports team, the more probable it is that these outstanding professionals will find the ideal pre-owned vehicle for you in a convenient and quick manner. Never Be Afraid to Speak with Big Red Sports's Team of Pre-Owned Experts – If you end up beginning to feel doubtful about even something that seems small or insignificant, please let us know! We want to make sure that you get exactly what you want from this big decision, so keep us in the loop if you wish to reconsider the search for your next pre-owned car, truck, or SUV. With these recommendations leading the way, we have no uncertainties that the used automobile that fits into your daily routine (be it a Kia Certified Pre-Owned or an automobile from a different automaker) will be parked in your driveway in the blink of an eye. What Is Next in the Hunt for the Perfect Used Automobile? Now that we have come this far, there is most likely only one inquiry left on your mind: "What do I need to do to begin looking around for the right used vehicle for me?" Fortunately, beginning this adventure is as painless as filling out a fast form or grabbing your cell phone and committing to a phone call to Big Red Sports. The only thing you need to do is simply fill out the survey below when you have a moment (do not forget to be as detailed as you can!) and we will handle the rest. If you want to sit down for a more in-depth talk, go ahead and give Big Red Sports a call at (405) 364-8106 or drop by when you are in the neighborhood; you do not need an appointment because Big Red Sports is always ready and willing to offer up its services to our neighbors in Norman!